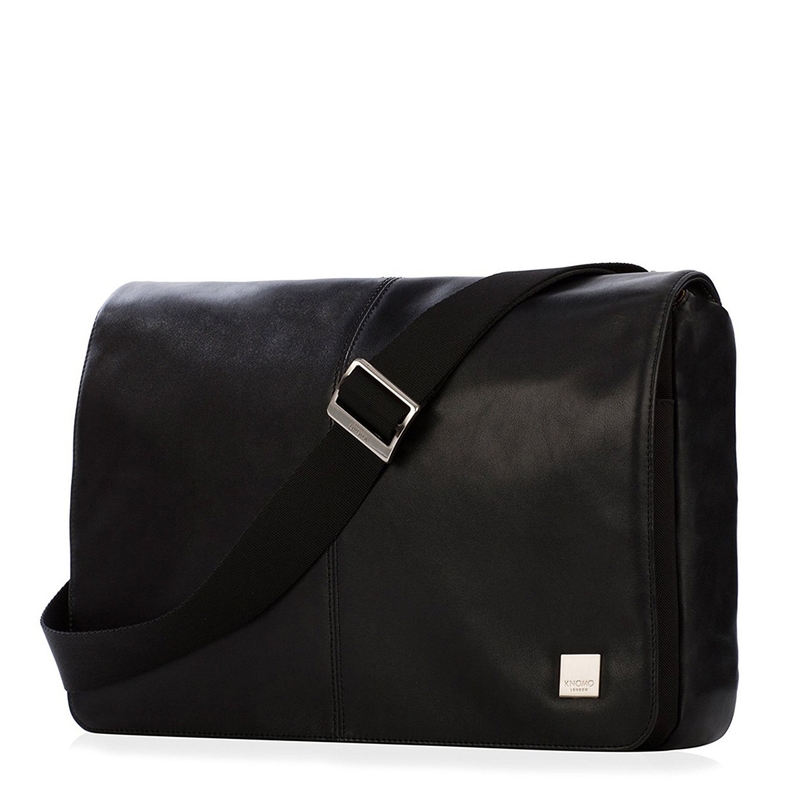 The Knomo Kinsale 13-inch laptop messenger is a compact messenger bag with a appearance for both business as free time. 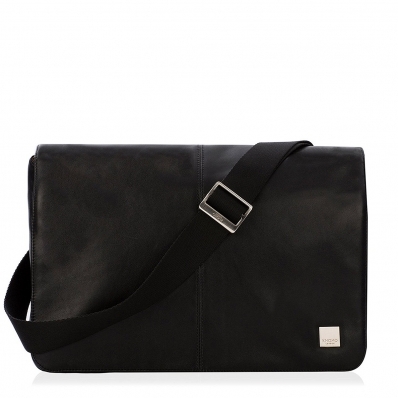 KNOMO KINSALE BLACK, compact messenger bag for cross body carrying. 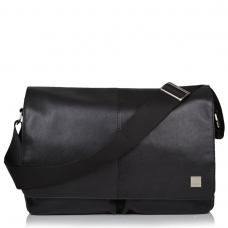 This Knomo Kinsale Messenger is a classic and functional compact messenger bag, with a contemporary design for the modern man. Perfect for those looking for a slimline messenger bag for their laptop, that can still fit all the everyday essentials as well. 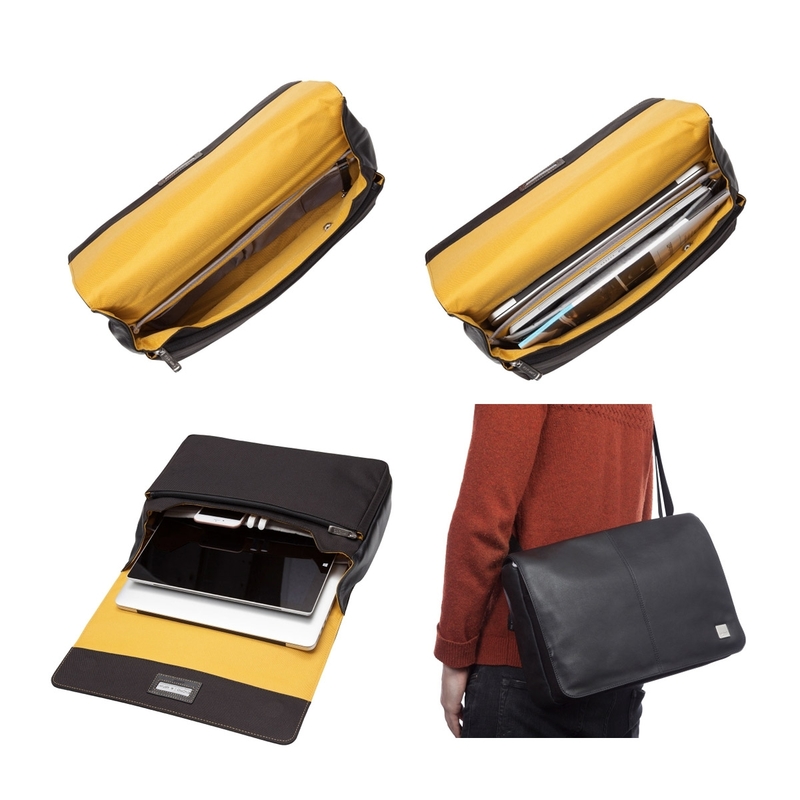 Padded laptop & tablet sections: fits up to 13-inch laptop and a 10-inch tablet. 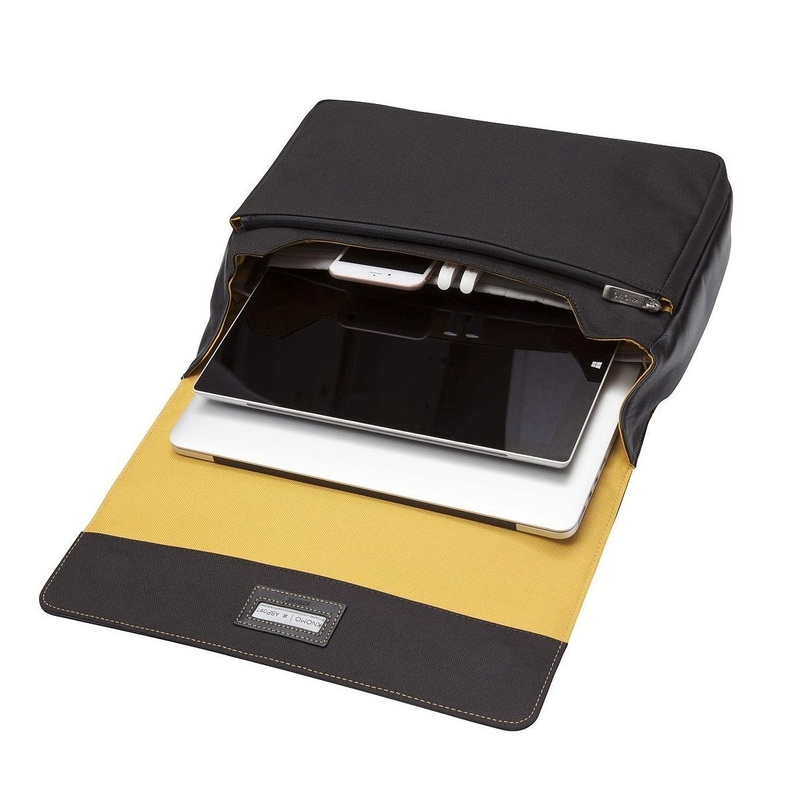 Designated section means your laptop and tablet are easy to grab on the go and kept separate from your other possessions. 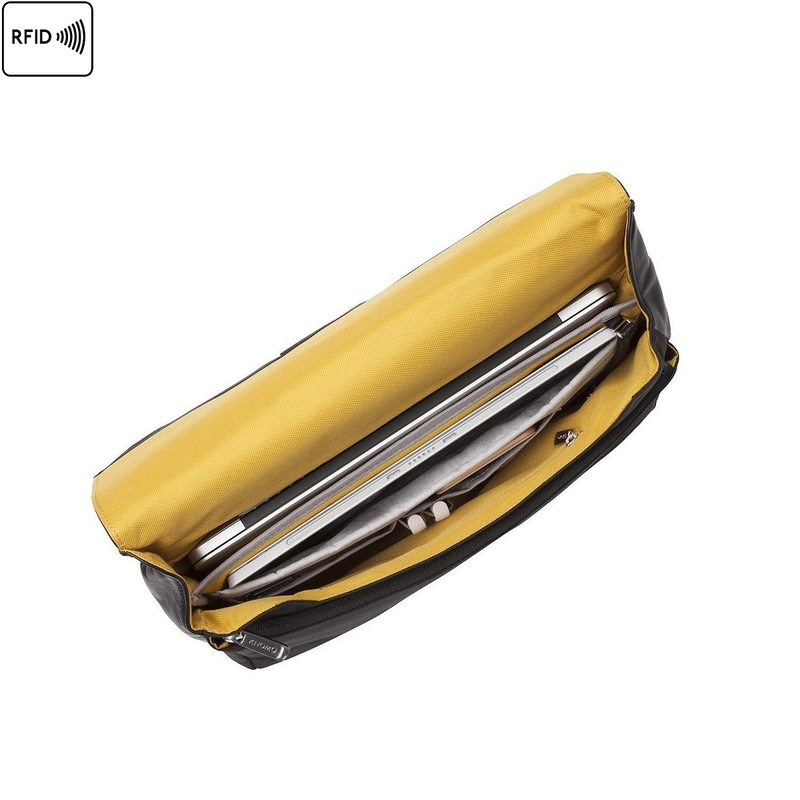 Front zipped pocket: padded for electronic devices, or ideal for holding documents. FASTEN, Opening and closing your bag should be hassle-free, so the large leather flap is secured shut with wide, flat magnets. 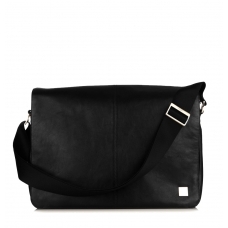 COMFORT, Kinsale is soft and unstructured, and whilst carrying across the body, the bag will mould to your body shape - placing the least strain on your back. Adjustable nylon shoulder strap. 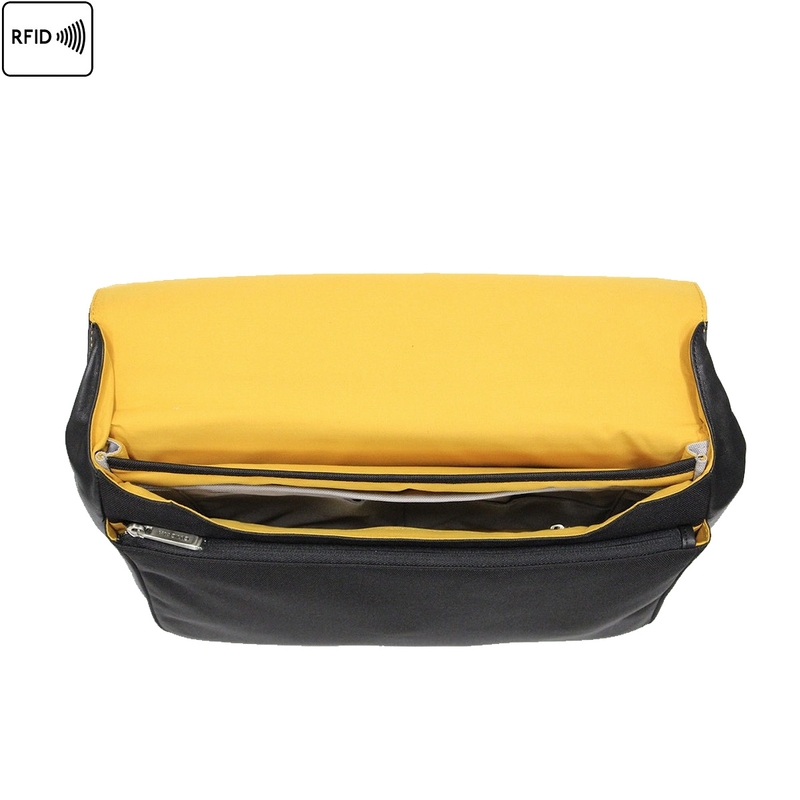 Soft fabric lining with scotch guard coating. 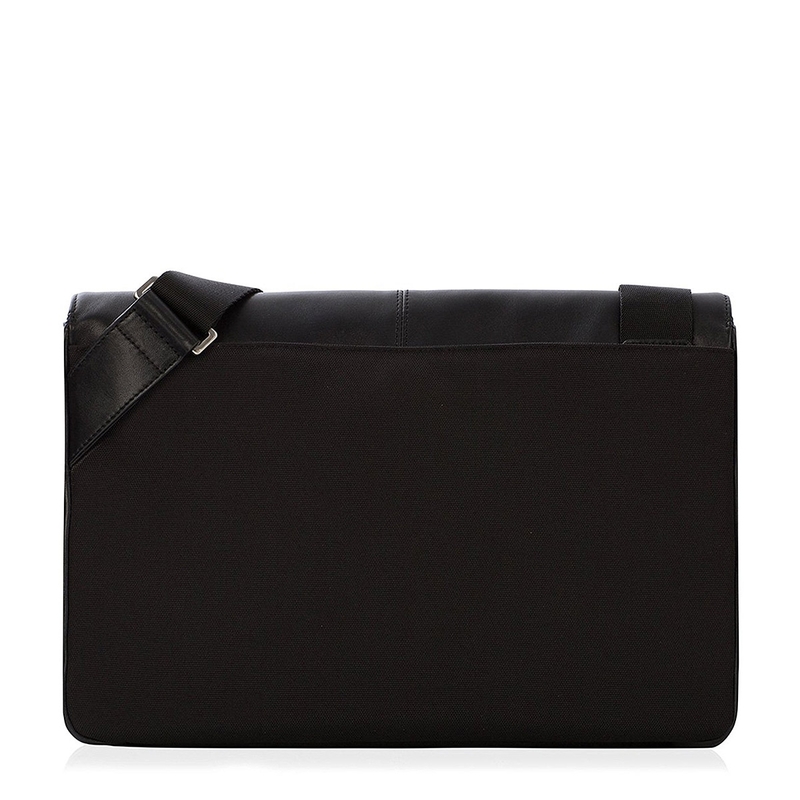 ORGANISE, With room for a 13" laptop, there are also plenty of elasticated pockets within, as well as one exterior pouche: zipped and padded for extra security. 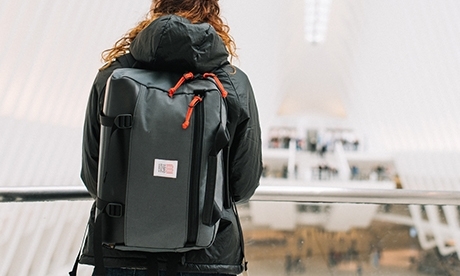 Pocket with RFID blocking: essential for storing your phone, bank cards, and passport to ensure you’re not prone to identity theft. MADE OF GRAIN LEATHER, The leather used for the Brompton collection is a luxurious full-grain that is soft and smooth to the touch. The leather will age particularly well. MY KNOMO ID, Register your unique Myknomo ID number found on the ID tag inside your Knomo, and if lost, the finder can easily contact us with your unique code. We will retrieve your Knomo and return it to you free of charge. The leather used for the Brompton collection is a luxurious full-grain that is soft and smooth to the touch. The leather will age particularly well. 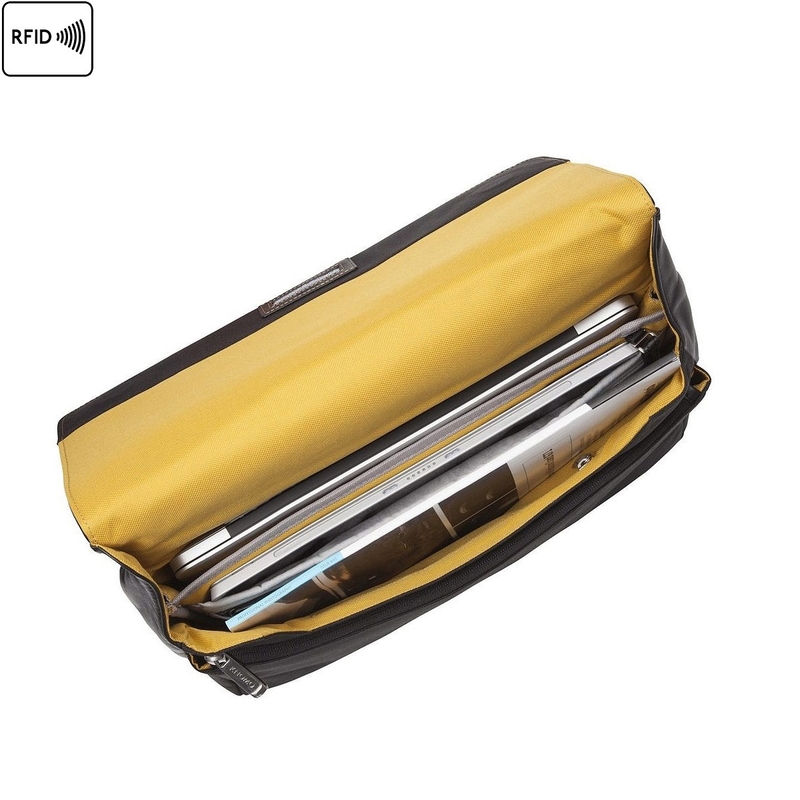 >Padded laptop protection pouch holds laptops up to 13"
KNOMO® London started with a simple idea really, to make laptop bags that people love rather than ones they have to tolerate. 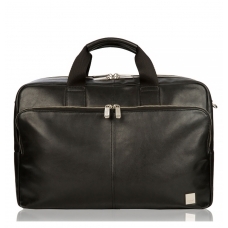 It's why they decided to create a laptop bag that customers would be proud to carry. 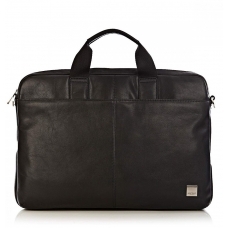 And the laptop bags wouldn't just look good, they would actually work - to protect your laptop and fit your lifestyle. 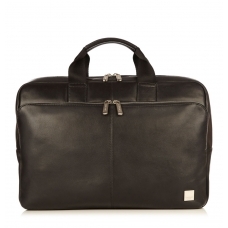 With KNOMO London laptop bags, style goes hand-in-hand with function to offer some of the most well-thought out men's laptop bags and women's laptop bags on the market. 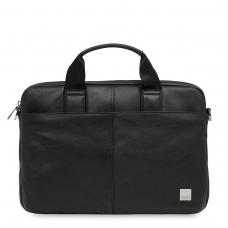 Made from beautiful, soft cowhide leather and durable fabrics, a KNOMO laptop bag provides a padded 'pouch' to protect your laptop from knocks and bumps. 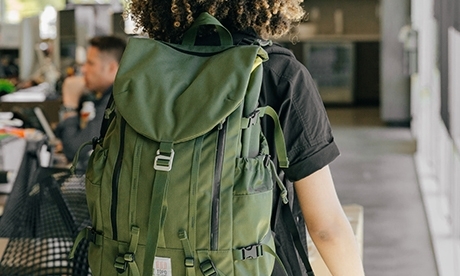 The KNOMO London tracker number provides an extra service to re-unite you with your laptop bag should you misplace it and all bags also include a number of interior pockets and compartments. 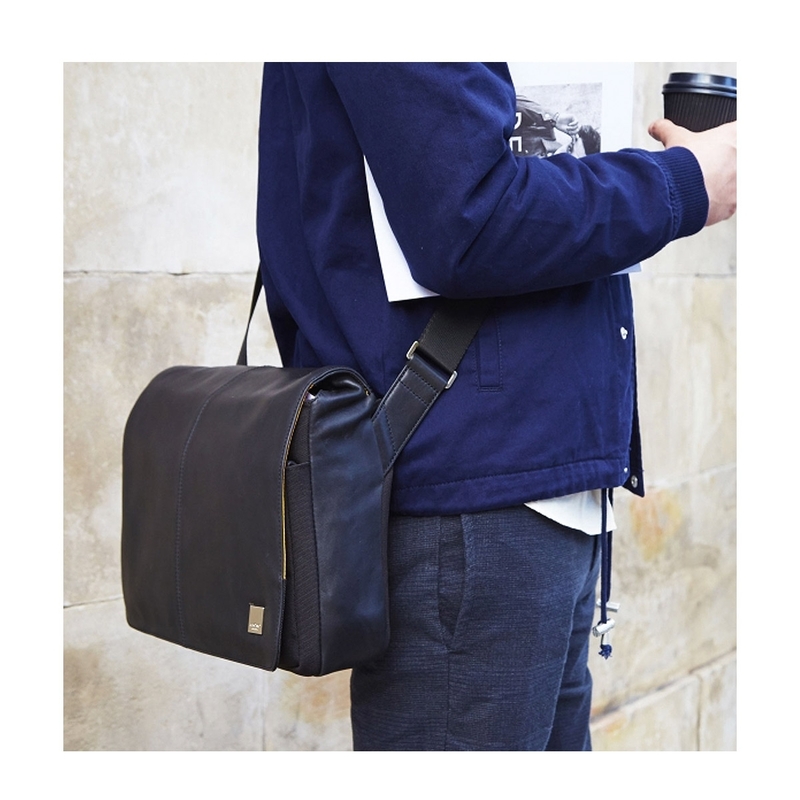 KNOMO London laptop bags are the fusion of knowledge and mobility.